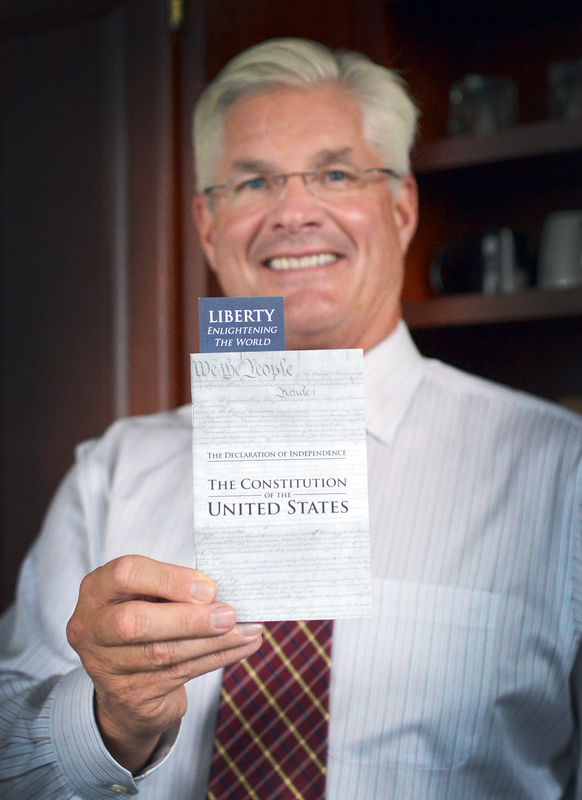 LANSING, Mich. — In celebration of Constitution Day this Saturday, Sept. 17, state Sen. Mike Shirkey, R-Clarklake, is highlighting the First Amendment. This extremely important, one-sentence amendment is easy to read with your family. Contact MikeShirkey@senate.mi.gov to request a free copy of the Constitution. Note: Click the image for a print-quality version. This photo and others are also available by clicking Photowire on this website.